Trucker Huss, APC is pleased to announce its sponsorship of the American Bar Association (ABA) Section of Labor and Employment Law “Employee Benefits Committee 2019 Midwinter Meeting” being held February 6-9, 2019 in Nashville, Tennessee. The program focuses on the latest developments and strategies in the field. In addition to sponsorship, Trucker Huss attorneys R. Bradford Huss and Sarah Kanter will present at the conference. Brad will participate in the discussion “Will the States Step into the Benefits Void?” The panel will provide an update on what the states are doing on state payroll IRAs, MEPS and marketplaces, the fiduciary rule and securities, pharmacy benefit managers, health care changes and prohibition of discretionary clauses. 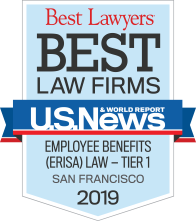 Sarah Kanter will participate in the session “Top Ten Employee Benefits Topics of 2018” reviewing the top ten highlights in benefits world in 2018. 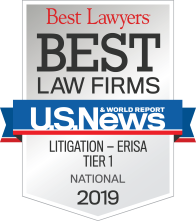 Brad has been practicing in the employee benefits field for forty years, and his practice is primarily in the areas of ERISA litigation, fiduciary responsibility matters, qualified pension and profit sharing plans and Department of Labor investigations. He serves as a private mediator in ERISA litigation matters and has been appointed as an Alternative Dispute Resolution Neutral in over sixty ERISA cases by the United States District Court for the Northern District of California. Sarah counsels employers and multiemployer trusts in all aspects of their health and welfare plans. Her experience includes assisting clients in compliance with the various Federal and state laws applicable to health and welfare plans, such as the Patient Protection and Affordable Care Act (ACA), ERISA, the Internal Revenue Code (IRC), the Public Health Service Act, HIPAA, COBRA, FMLA and Medicare.